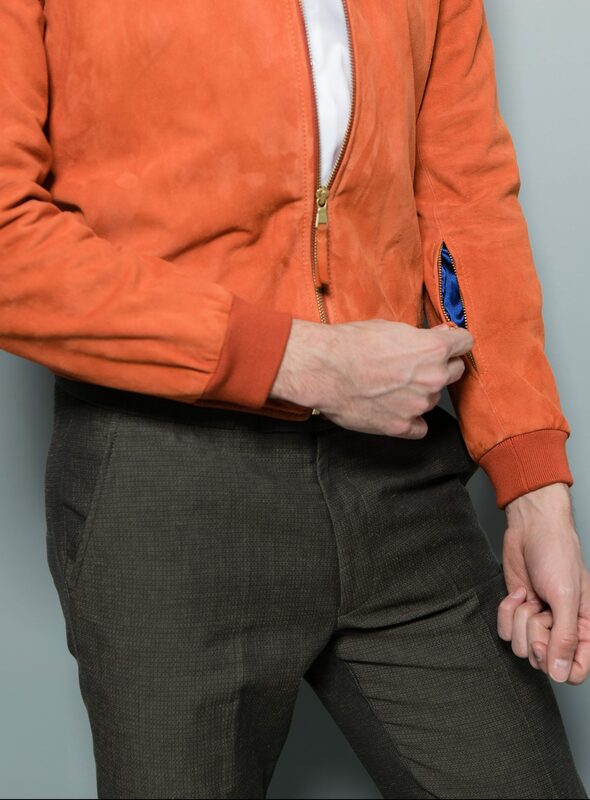 Unafraid of color, this handmade bomber is a Stephen F signature piece. 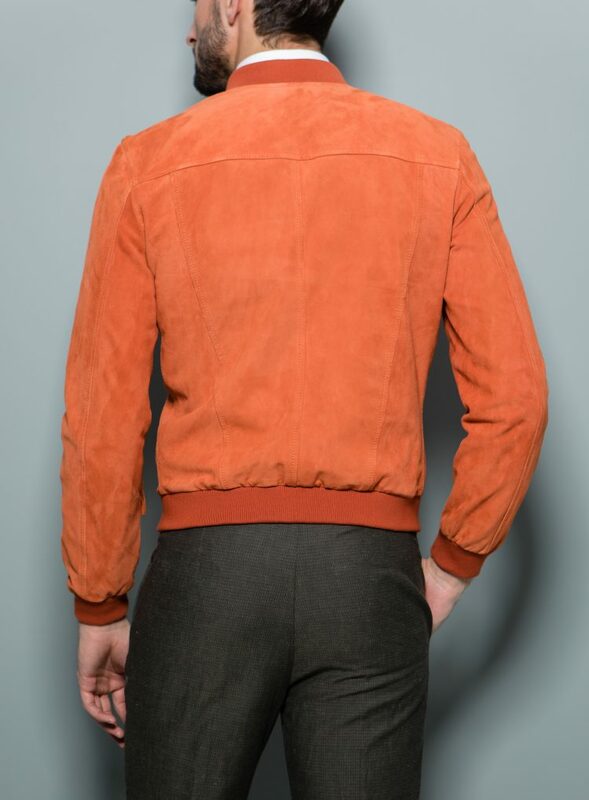 With it’s sleek profile, this goat suede jacket can be worn in a variety of ways. 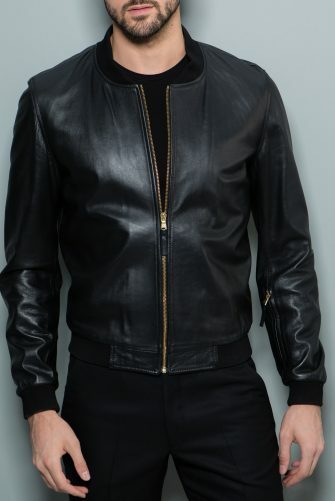 The bomber works in a range from sneakers with jogging pants, boots with denim, wingtips with suit pants, or even pattern leather shoes with tuxedo trousers. The Royal blue lining adds another beautiful touch of detail. This jacket has inside chest pockets and an invisible sleeve pocket. 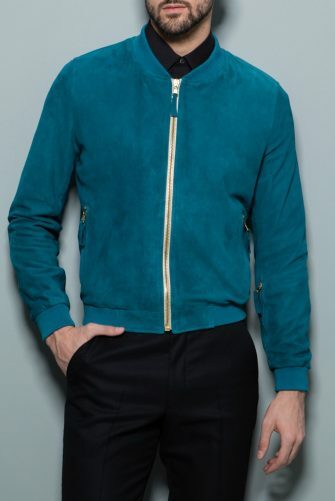 The elastic trim ensures a form fitting look. Made in Italy.